Tahoe Douglas Fire is pleased to announce the promotion of Firefighter/Paramedic Jesse McDonald to the position of Engineer. 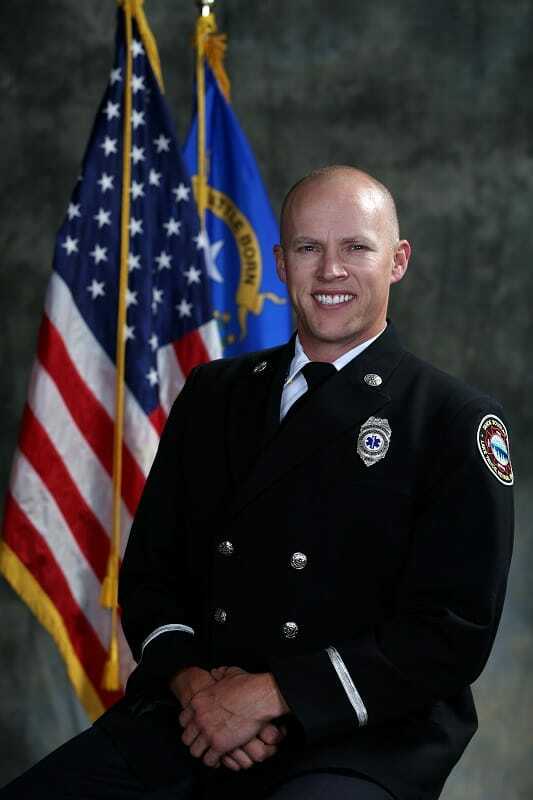 Before settling into a career in the fire service, Jesse spent time as a life guard, a construction laborer, a dental technician/manager, and a custom shipping crate builder. He received his paramedic certification in 2011 from REMSA, where he gained field experience until he joined TDFPD in 2013. He earned preceptor status while still on probation and helped others in his SAFER hire group grow in skill and confidence as paramedics. He has also served as a valued member of the EMS Steering Committee and as the CQI Coordinator for B-Shift, again contributing to development and competency levels of our paramedics. Jesse completed engineer academies in 2015 & 2017 in preparation for this promotion. McDonald has earned his AA degree in Fire Science at TMCC and is working on a BS in emergency management.